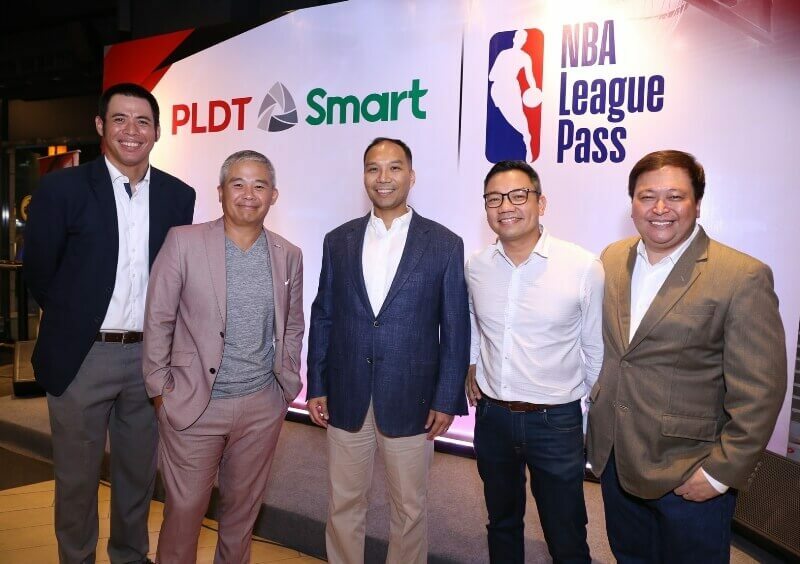 The National Basketball Association (NBA) has tapped Smart Communications and PLDT to offer its NBA League Pass premium live subscription service to more than 62 million subscribers in the Philippines. To provide fans an access to live and on-demand NBA games online and via mobile devices, PLDT and Smart are now making available of select offerings of NBA League Pass to their subscribers. Its offerings include Day Pass worth Php50, which allows users to watch live games for a 24-hour period. PLDT Home will give users the option to add the selected NBA League Pass offering into their monthly broadband subscription, while Smart Prepaid and Postpaid customers can purchase the Day Pass promo by simply registering to 9999. See Also: Smart Accelerates LTE Roll-out in “Summer Hotspots” Across PH! In addition, through this collaboration, PLDT and Smart will serve as official partners of NBA 3X Philippines presented by AXA, a 3-on-3 tournament featuring men’s and women’s teams and authentic NBA entertainment. For more information, visit www.pldthome.com and www.smart.com.ph.